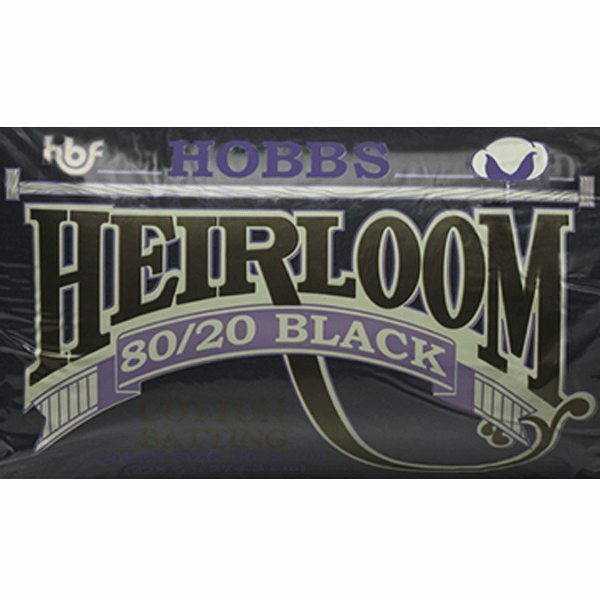 80/20 Black Cotton Blend Batting is a product highly recommended for quilt tops created in black, navy or other dark colors. 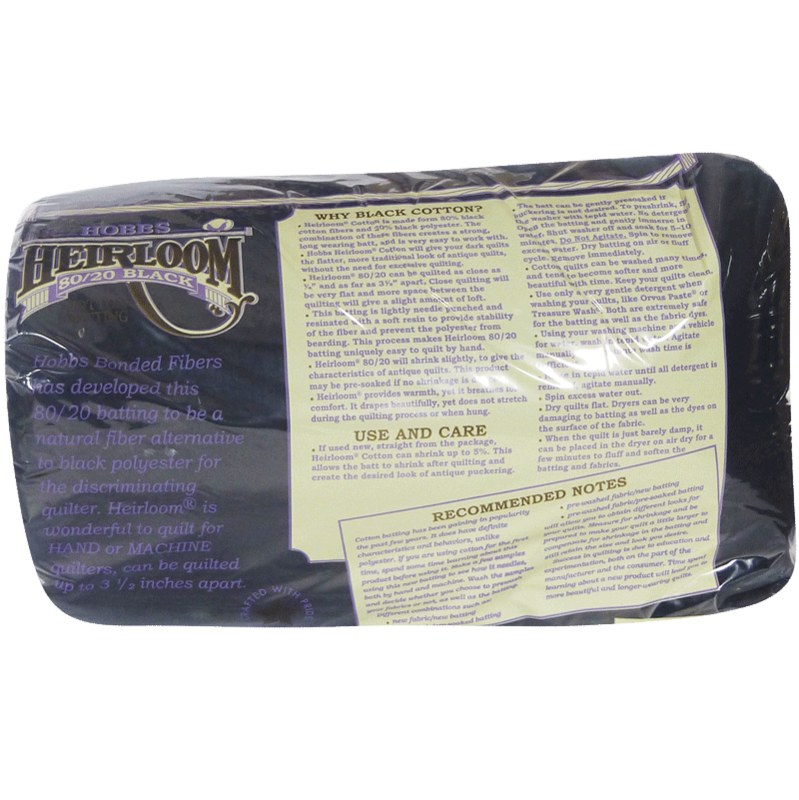 This dark product is made using dyed cotton fibers to provide quilters with a batting that will not create light fiber lint on the quilt top during the quilting process. Black Cotton Blend Batting is wonderful to quilt by hand or machine, no matter your use. Close quilting yields a flat low loft appearance while more space between stitching lines yields a slightly higher loft. 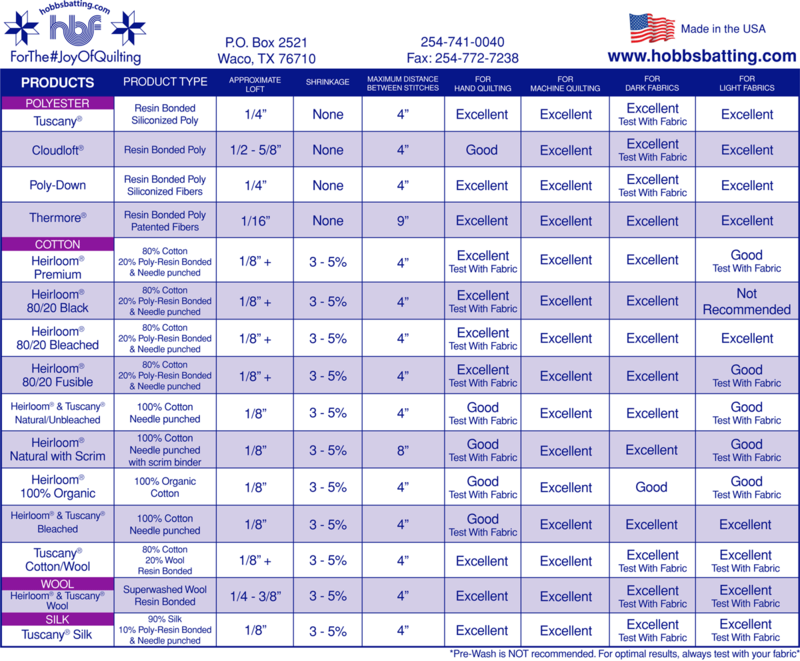 Note that you may experience shrinkage of 3-5% and it may be quilted up to 4” apart. 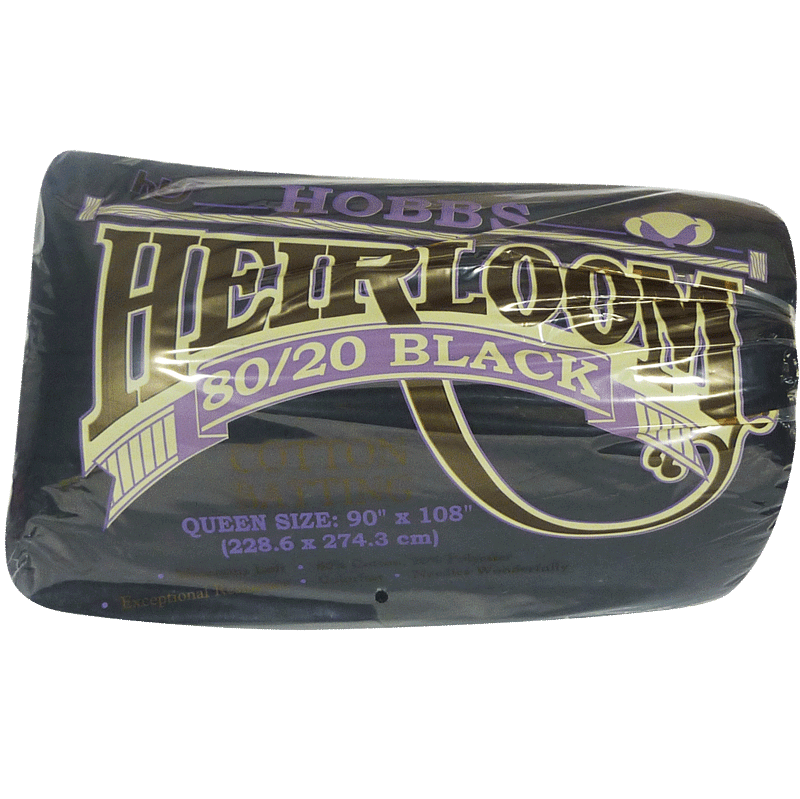 This product is highly recommended for quilt tops created in black, navy or other dark colors. 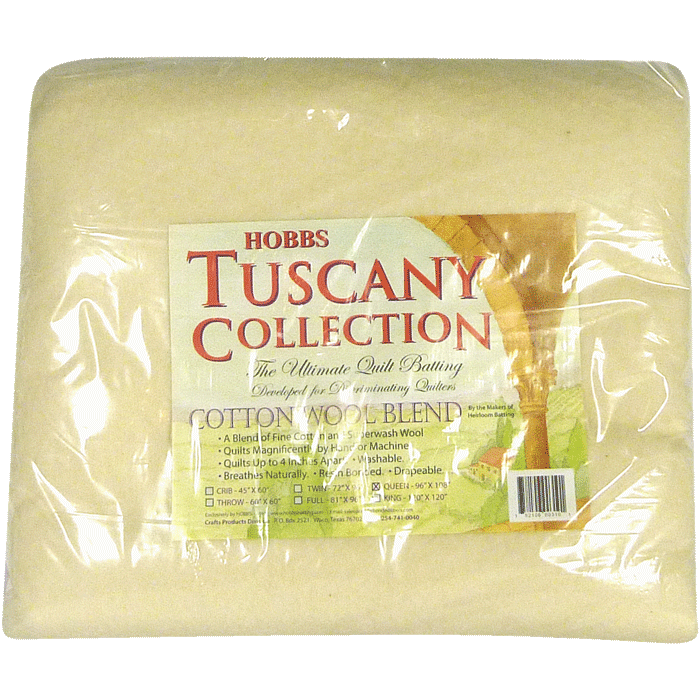 This dark product is made using dyed cotton fibers to provide quilters with a batting that will not create light fiber lint on the quilt top during the quilting process. This Premium black is manufactured in the same manner as our Premium 80/20 in the natural cotton. 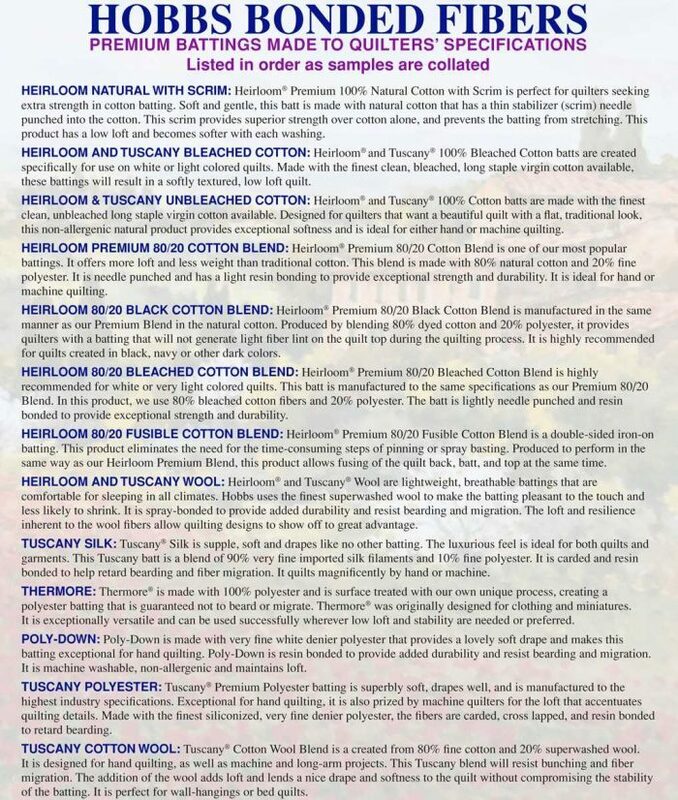 It is made with 80% dyed cotton and 20% polyester. Furthermore, this product is lightly needle punched and resin bonded to provide exceptional strength and durability. 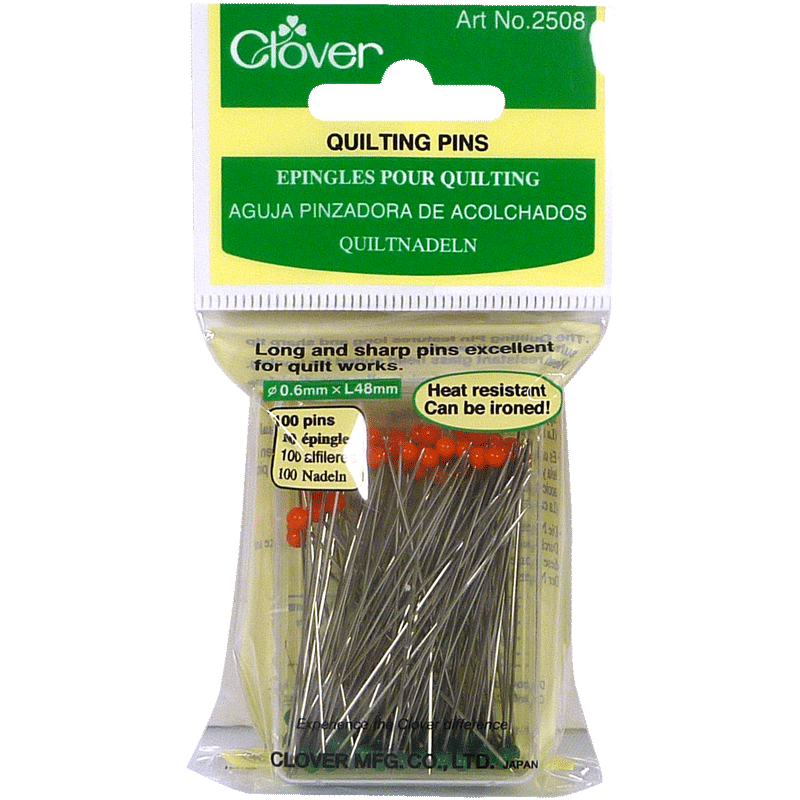 Monfil recommends that the quilt maker spend some time learning about this product before using it on a major project. 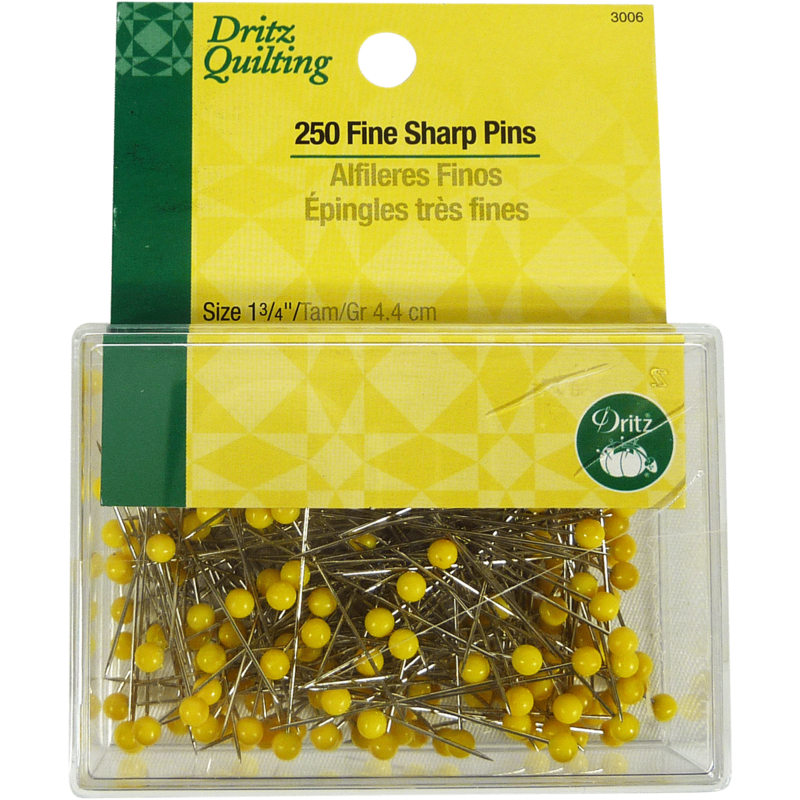 Please, make samples using this batting to see how it launders, performs and how it needles, both by hand and by machine, so that you can obtain the look you want in your final project.